Being a mom who works outside the home is tough. Not only do you have to juggle things at the day job, but you’re constantly thinking about the daycare or school situation, piano lessons, soccer practice, how to make healthy meals for your family and any number of other things. You rarely have “me time” and it is quite possible that you spend your work days missing your spouse and kiddos. Thankfully, there are ways to keep reminders of your family around all day long. A lot of working moms revert to taping up their children’s colorings or macaroni-pasted wall art and calling it good. However, wouldn’t it be better to decorate your office or cubicle in sophisticated décor that still felt like home? Here are some ideas to get you started. Customized wall art: To make a big splash on the walls of your office or cubicle, create a piece of wall art featuring your favorite photo. This typically doesn’t have a frame and therefore looks clean and crisp, with nothing else to distract from the smiling faces of your family. You can also choose a variety of layouts, designs and sizes, so you’re sure to find something that fits your style and needs. Digital photo frame: Find an out-of-the-way spot on your desk to place a digital photo frame, where you can feature a constant slideshow of your favorite pictures. If you get stressed out during the day, take a few minutes to watch the photos and remind yourself of the blessings in your life. Photo books: Another fabulous way to capture your best memories is to create a photo book. Place captions inside and detail your adventures. Then, put the photo book(s) on your bookshelf or somewhere easily accessible in your cubicle. This is a fun way to show coworkers who stop by your office photos from your trip to Hawaii or your kid’s first birthday party. Desktop plaque: If you don’t have much wall space, have no fear – your office space can still contain stylish reminders of your family. Specifically, create a personalized desktop plaque, which is a frameless collage or favorite photo on a small chic mount. Display cards: What do you do when you get a card from your spouse or kids? Many of us bury it in a drawer, but wouldn’t it be more meaningful to display them? Use a shadow box or a stylish bulletin board to show off cards from your family that mean the world to you. If you’re feeling blue during the day, take down a card and gain encouragement from the words. 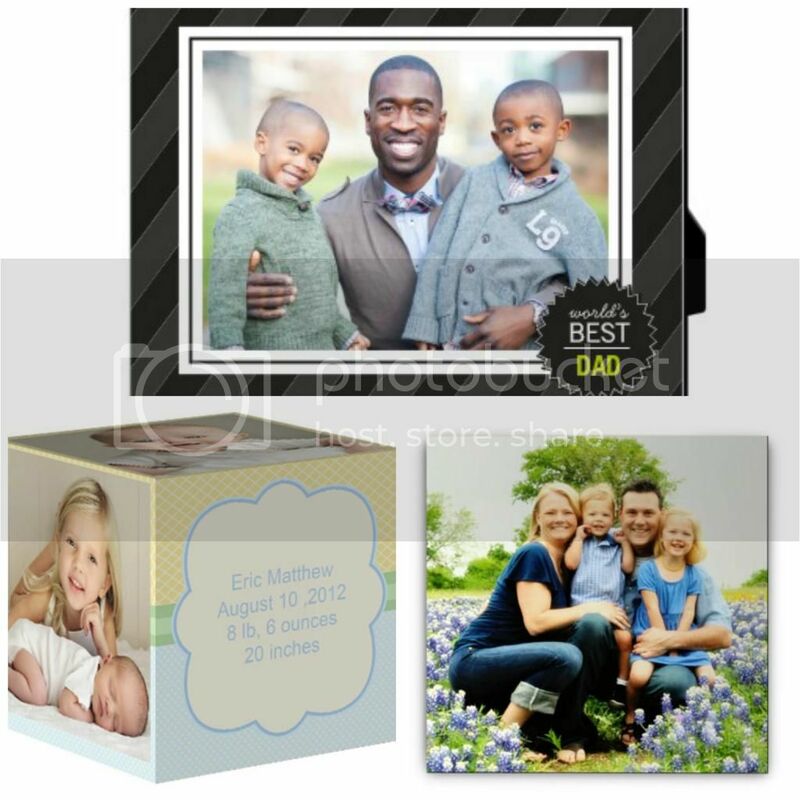 Photo cubes: These wooden cubes display your pictures in a clean, creative way. Place them next to a vase of flowers and you have a simple, yet chic way to display your favorite photos. Ornaments: If the holidays are around the corner, purchase a small tree and hang ornaments that feature your kids’ smiling faces. What better way is there to brighten the holidays than that? Of course, it’s still perfectly acceptable to hang up your children’s artwork or anything else that will remind you of your loved ones. The key is keeping your décor simple and uncluttered, so put such artwork in one localized spot or use a fun bulletin board to display it. In addition, you don’t need to break the bank in order to decorate with style; brainstorm other thrifty office décor ideas or have fun creating DIY décor with your kids. However you choose to decorate your office, remember that it’s possible to have a grown-up looking office with family mementos – ones that will remind you of the treasured gifts in your life, even in the midst of a hard day’s work. Heather Hewitt is a seasoned writer and guest author who enjoys connecting people with thoughtful products, services and ideas as they relate to crafting, photography, gift giving and personal expression. I love digital photo frames. That's a must have for me. love her tips! The digital frame is perfect to have numerous photos in a small place. Thanks for sharing. Personalized decorations do add so much more to a space. It's so nice that they are so easy to get and affordable now. I love the photo cube! I am in need of a gift for a friend who would love this! Thanks for the great ideas! I have so many photos on my Mac but none on my walls! I need to change this asap! I need to get my photos to my wall at home! Digital frames are so great when I child graduates from high school or college. As long as you have been collecting pictures from their lives you can just put everything on the digital frame and BAHM, instant memories.